Sanitas Lemon Cream Scrub. This happens to be my absolute fave in the bunch. Contains Vitamin C and E which acts as antioxidants to help heal, protect and provides anti aging benefits to the skin. I love the fact that it does exactly what it says and leaving the skin clean, and doesn’t irritate, which was quite a surprise giving that I normally react to new products. The citrus scent had me sold too. NIA 24 Sun Damage Prevention. This in an awesome product, lathers on beautifully without living those annoying white streaks that are common with sunscreen. I wear this under my makeup and my makeup stays in place all day long.. I love the fact that it doesn’t leave me oily too.. Will I buy this product? definitely. Starlet shine spray by Nick Chavez. One word .. wow. This spray leaves my dull thick afro hair with a healthy sheen and smelling oh so good. Im in love with this, I seriously have to get a full bottle of this product after I run out of my sample pack. I normally don’t like hair sprays because they sometimes feel heavy and leave behind this sticky oil consistency I hate, but guys this is weightless, smells divine and does the job. My hair feels clean, has a healthy sheen and smells like baked cookies lol..
Dr Brandt BB Cream. While I love anything BB, CC and Tintented moisturizers, this one was a no go for me. Not necessarily because its a bad product or so, but it just wasn’t my shade. I did try to make it work, but I ´d be lying if I say anything about this particular product. Wrong shade , wrong shade, but I love the consistency the fact that it has spf 30, its brightening and anti aging properties were a major plus. With that being said, I won’t mind giving it away to anyone who is a few shades lighter than myself, please just drop a comment below if you want this. There are other mini samples product like Avéne Intensive Cream, SkinMedica TNS Eye repair + Vitamin C+E Complex and Skinceuticals Phloretin CF that came in the pack and I am using and loving so far. More reviews on these coming up here on the blog. Ladies, interested in discovering and trying out new quality products for your skin and hair? you might want to try the beautyFix monthly subscription box from Dermstore, and I promise you won’t be disappointed. 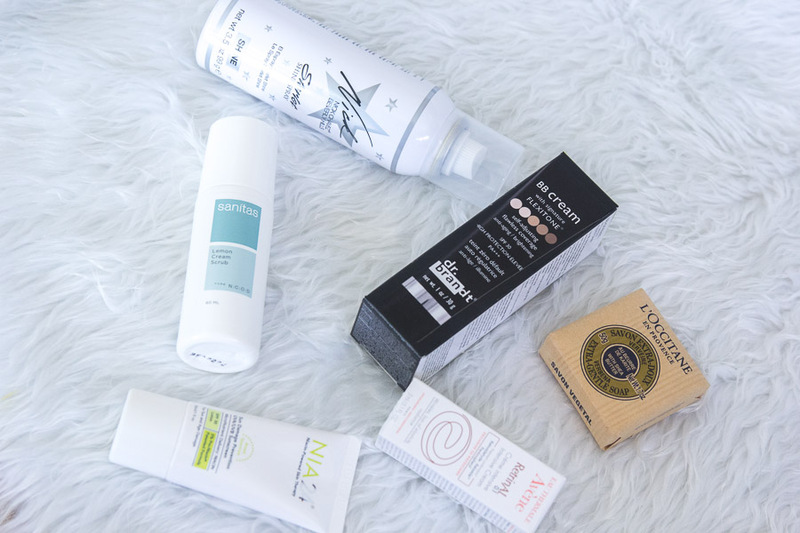 Plenty of amazing brands out there and the BeautyFix subscription is also a good way to try out your favorite products without paying full price. New In.. The best Highlighter for Dark skin?